Achieving outstanding outcomes by solving issues with initial assessment, target setting, differentiation and support. Teachers do not use the assessments of learners’ starting points to plan learning effectively. They plan too much activity that is the same for all learners irrespective of their ability. Teachers and assessors do not set students and apprentices clear or specific enough targets to help them know what they need to do to improve and make progress. The Initial Assessment and Differentiation Controversy is a half-day session. Initial assessment is far wider than English and maths and should identify any and every reason a learner may under-perform or leave early. It should lead to an individual learning plan (ILP) that sets out a clear starting point, the learner’s unique support needs, and the conditions all parties should work towards to ultimately achieve and celebrate the learner’s independence of this support. Informed by the ILPs, learner profiles should set out the differentiation challenge for teaching teams – not the differentiation of teachers’ expectations, but the strategies and resources required for all learners to achieve outstanding outcomes. These outcomes should then be set out clearly in lesson plans – not as a list of activities (which then turns assessment into an audit of ‘what has been done’), but a clear articulation of how learners should be different by the end of the lesson. Supported by comprehensive resources, this thoroughly planned, experiential session models eight of the strategies under consideration, including target setting and differentiated support. The session also includes a summary of each teaching strategy and clear next steps for delegates to continue the development of their work after the session. This work is also supported by access to all session resources, and more, on the Centre for Creative Quality Improvement’s website. 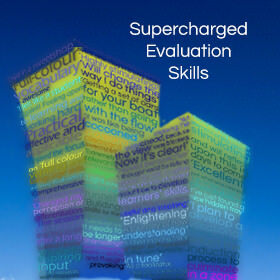 If you read many inspection reports you may be forgiven for thinking that Ofsted cuts and pastes weaknesses from a limited central database of gripes: ‘Insufficient individualisation of learning’; ‘Poor use of target setting’; ‘Insufficient progress from learners’ initial starting points’; ‘Insufficient stretch and challenge’. This can lead providers to create a new layer of ‘must dos’ for teachers, and add yet more pressure on an already stressful job. But if we stand back for a moment and look at the issues from first principles, there is a wonderful and logical narrative that too often gets lost in the blur of bureaucracy. Using all of the teaching strategies it is promoting, this session gives concrete models and experience of pragmatic solutions to Ofsted’s concerns. At the end of the session, delegates take away a set of illustrative strategies they have worked through, along with a summary of each to aid adaption to their own situations. This session should spell the end of the Initial Assessment and Differentiation Controversy. set out the indicators and strategy they will use to evaluate the extent to which learning barriers are being removed. The Initial Assessment and Differentiation Controversy is a 3.5-hour session.